CHECK OUT THESE FANTASTIC PHOTOS OF RIC FLAIR AND OTHER WWE SUPERSTARS WHEN THEY WENT TO AFGHANISTAN IN LATE 2005, IN THIS PHOTO THE "NATURE BOY" SIGNS A AUTOGRAPH FOR A SOLDIER. 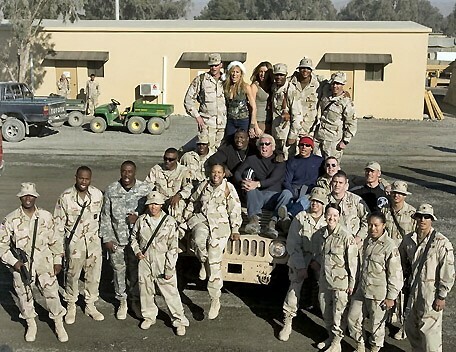 RIC FLAIR WITH SHAWN MICHAELS AND MARIA WITH MORE SOLDIERS. RIC FLAIR WITH SHELTON BENJAMIN, SHAWN MICHAELS,JOHN CENA, MARIA, AND LILIAN GARCIA. RIC FLAIR WITH SHAWN MICHAELS, MARIA, SHELTON BENJAMIN, LILIAN GARCIA, AND JOHN CENA.